There were 746 press releases posted in the last 24 hours and 153,519 in the last 365 days. ASHEVILLE, NC, USA, November 10, 2018 /EINPresswire.com/ -- Nominated for 2019 induction into the Rock & Roll Hall of Fame for his innovative work along with Roxy Music, Eddie Jobson is considered the definitive musicians' musician. 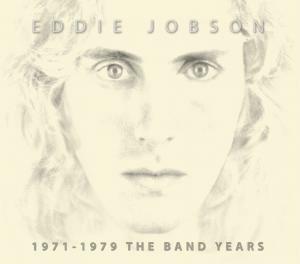 “1971-1979 The Band Years” is the first of five planned compilation albums, one for each decade of Jobson's outstanding career as an award-winning composer and internationally acclaimed keyboardist and electric violinist.